Welcome to Family Unity Network’s Parenting Tips And Advice. Today we’re going to talk about a controversial subject: To spank or not to spank? Discipline and structure are probably the most important elements in raising our children. When it comes down to how we discipline our children, we end up having two divided schools of thought. Those who spank and those who don’t. Albert Bandura has a theory of modeling where the child basically models the behavior of the parents. As our children become adults and have children of their own, they’re more likely to spank their children if they were spanked as children. At what point does this cycle cease to exist? Let’s look at what spanking does to the child: Spanking can be a humiliating experience for the child. Not only that, the parent is modeling aggressive and often violent behavior when he or she spanks his or her child. The child learns that, “if I get upset, I’m going to hit something”. Disciplinarians and many authoritative type parents will often fall into this category. And if both parents aren’t on the same page in terms of discipline, the child will receive a mixed message. That being said, a parent will probably not get arrested by a child abuse investigator for spanking his or her child, as long as the spanking doesn’t include unreasonable force. This term is quite ambiguous and subjective, not only to the parent, but to the child as well. It’s my professional recommendation not to spank your child and my view is shared by the Academy of Pediatrics, who also does not recommend spanking. 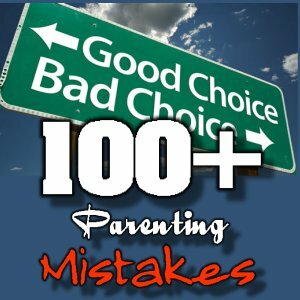 I covered this topic of spanking quite thoroughly in my book, 100+ Common Parenting Mistakes. The bottom line is the message we’re giving and receiving as parents and more importantly, how the child internalizes these messages. Like the cliché says, “The apple doesn’t fall far from the tree”. If the child internalizes spanking as violence, then he or she may continue to exemplify that behavior well into their adulthood as they become parents. Thanks for checking out Family Unity Network’s first installment of Parenting Tips. Be sure to check back for my next installment.